Here’s a style alert for you! Films, short hair and recently embroiled in a controversy. Does it ring any bells? If you haven’t guessed already, talented Bollywood director Kiran Rao who is also Aamir Khan’s wife was recently spotted. 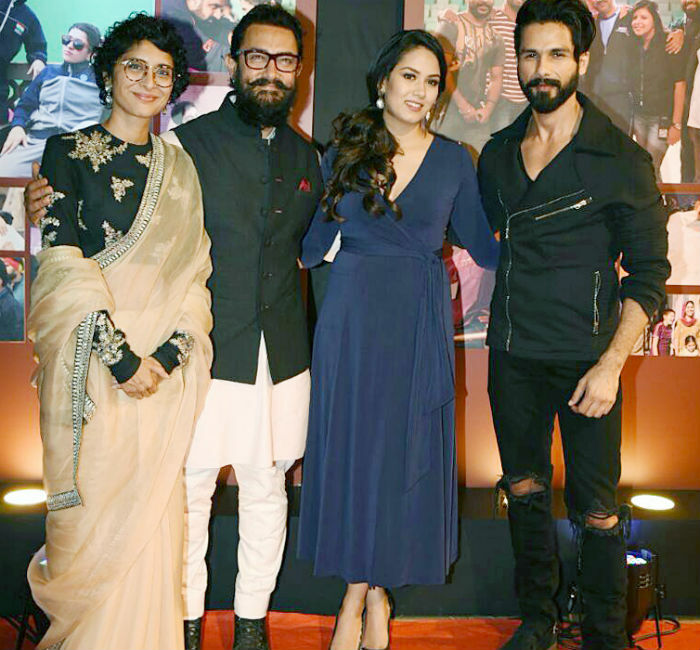 She was at the Dangal success party and she looked nothing less than fabulous! So without any further adieu, let’s take a closer look at the outfit she wore to the event. 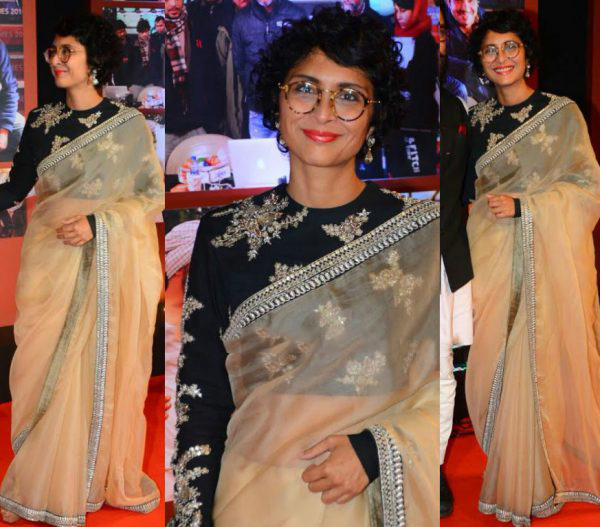 For the success party, the acclaimed director wore a Sabyasachi saree. It goes without saying that anything designed by this designer is gorgeous to say the least. The cream color saree with silver embellishments was tasteful. She wore a black full-sleeve blouse with matching silver work on it. Take note fashionistas, as Kiran gives us all a new fashion high! This look is sophisticated, chic and classy all at the same time! Since she has short, wavy hair she wore a pair of drop earrings which was just about right. Also, her lip color with an orange tinge was an excellent option. And the million dollar smile made all the difference. We loved her look, did you? We would love to hear about what you think about her look. Drop in a message to us in the comments section! If you like this post, don’t forget to spread the love by sharing it with your friends. And yes, do subscribe to our website to get the latest fashion updates. Stay stylish!